Integrating device, transaction and behavioral attributes to take smart risk decisions. Transaction Fraud occurs when a stolen payment card or data is used to generate an unauthorized transaction. The move to real-time transactions is causing significant security challenges for banks, merchants and issuers alike. Quicker transaction times increase the chances of fraudulent transactions going undetected.Effective protection relies on accurately distinguishing between legitimate customers and fraudsters in real time. Paygilant protects against transaction fraud by evaluating the context behind every transaction, looking at device, behavior and biometrics to identify anomalous or high-risk activity . Paygilant provides a strong defense against transaction fraud. Paygilant successfully pinpoints fraudsters using stolen credentials to stop transaction fraud. • Accurate, measured mobile payment risk assessment: Ensuring that good customers are not rejected just because they show “risky”attributes. • Designed to meet tomorrows mobile payment treats: Paygilant’s mobile fraud detection/protection solution is designed to be extremely sensitive to new fraudster trends and techniques. With machine learning technology, Paygilant reacts quickly to ensure that the system is always up to date and your organization is always protected against the latest threats. 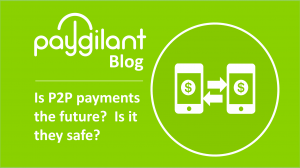 • Real-time responsiveness: Paygilant delivers real-time insight, so you can identify fraudsters before they breach transact and compromise your business. • Full Integration with step-up verification vendors: For higher-risk accounts, you can verify transactions with integrated third-party identity verification orgenizations for an extra level of assurance. • Detailed analysis and reporting: Paygilant provides visualizations and analytical reports that allow your security and fraud analysts to see and understand enterprise application activity, and take steps to improve security and reduce fraud. • Rapid, lightweight deployment: The Paygilant Smart Decision Platform is a cloud-based solution, meaning you don’t need to add servers or additional infrastructure to protect account transactions.